1990. 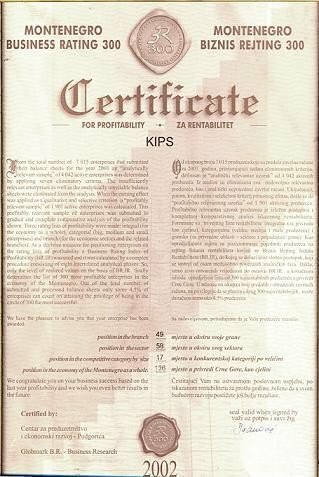 – Company KIPS doo was established and began trading in a limited selection of building materials and supplies. 1998. – the Company built its first retail store in Stari Aerodrom, Podgorica. 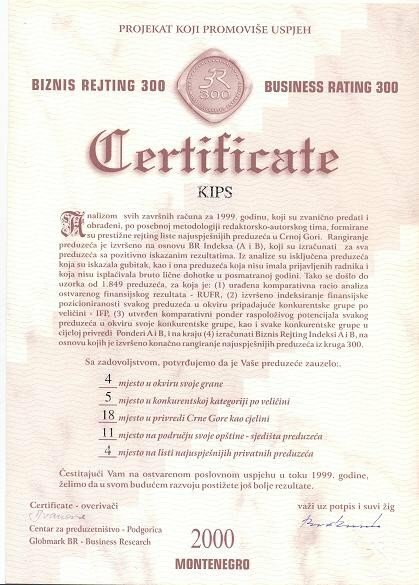 Boosting sales and rapid increase in the range of products resulted in renting 8000m2 of facilities, and the Company KIPS continued its successful business. 2005. – our new, state-of-the-art warehouse in Bar was constructed and opened, offering the existing wide range of products. 2005. – we completed construction of our new head office building and opened the largest tiles and ceramics showroom in Montenegro, which soon became the leading centre in ceramics market trade, offering an extensive and imaginative range of highest quality tiles and ceramics products. 2008. 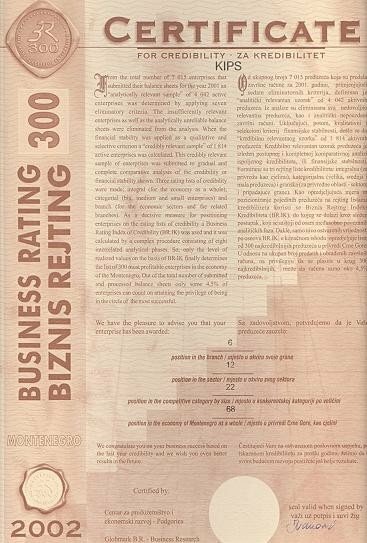 – was a milestone in the Company’s business. Shopping Mega-Mall-Cijevna was opened, as the first shopping centre of a kind in Montenegro, with over 12 000m² of enclosed and 40 000m² of open-air space, and with more than 30 000 different products displayed. 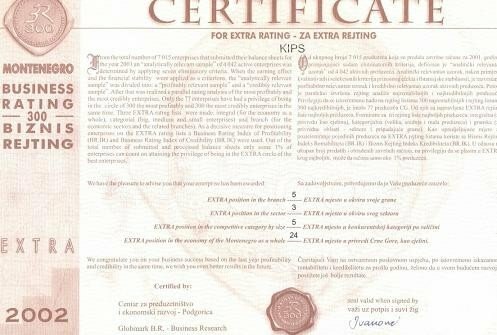 Thus the Company KIPS embarked on a new stage of its business. In addition to trading in building materials and tools, the Company has offered a number of various products for home and garden. 2009. 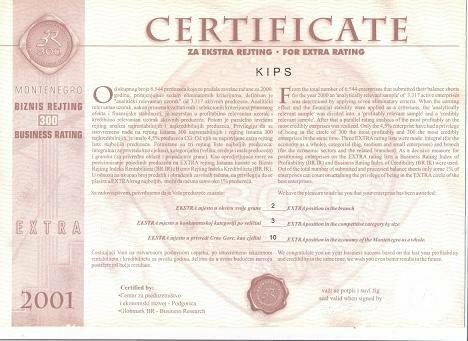 – Company KIPS opened its Shopping centre in Kotor. Thus we have brought our products closer to the customers of the coastal region, Boka Kotorska Bay and Budva. End of 2009. 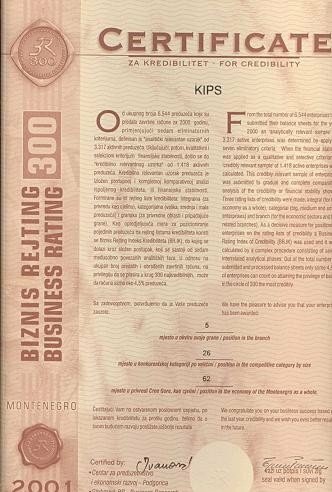 – Company KIPS opened its Shopping centre in Berane, and made its products available at handy location for the customers from the north of Montenegro. Our ultimate goal is to keep all our customers satisfied. We are a customer-focused Company, fully driven by their needs. We always try to keep our buyers well informed and up-to-date on any novelties or special offers in our stores. Should you have any additional questions, recommendations or suggestions, please send us an e-mail and we will be happy to reply.